In a press release issued today (below), JetBlue announced service expansion at Ronald Reagan Washington National Airport that will affect The Palm Beaches. New service between PBI and DCA will launch on December 18, 2014. "Washington, DC is an excellent market for service expansion for PBI. The addition of service will help meet the demands of our passengers and increase the scheduling options as people plan their travel. We believe JetBlue will see a very positive response to the flight," said Bruce Pelly, Director of Airports for Palm Beach County. 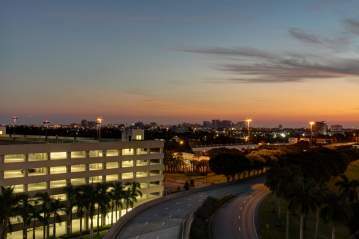 WASHINGTON, DC -- (Marketwired) -- 06/19/14 -- JetBlue Airways (NASDAQ: JBLU) today announces two new nonstop routes from Ronald Reagan Washington National Airport (DCA) to Fort Myers (RSW) and West Palm Beach (PBI) in Florida. The two routes will launch on December 18, 2014 and operate during the winter season. The airline today also launches three new routes from DCA to Charleston, SC (CHS), Hartford, Conn. (BDL) and Nassau, Bahamas (NAS). 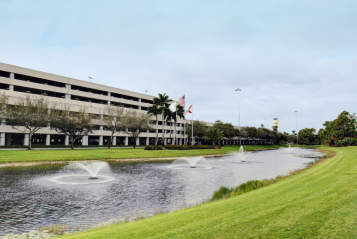 Additionally, JetBlue will boost its existing service to Tampa, Fla., with a second daily flight effective July 2, 2014. Special introductory fares are available today through June 20, 2014, starting at $84 one way to Fort Myers and $94 one way to West Palm Beach for travel between January 6 and February 11, 2015 (a), excluding Fridays and Sundays. 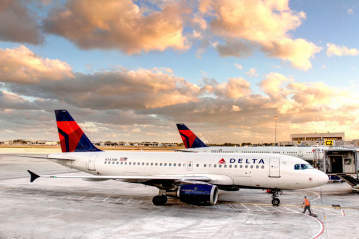 The new routes and increased frequency follow the allocation of 12 slot pairs to JetBlue by the U.S. Department of Justice (DOJ) as a result of divestitures from the American Airlines-US Airways merger. More flights will be announced this summer as JetBlue continues to ramp up its presence at DCA. "JetBlue&apos;s first flight from Reagan National was only four years ago, but since then, with our award-winning customer service, we have quickly grown to offer customers 24 daily flights, including the only nonstop to San Juan, Puerto Rico. By the end of this year we will have up to 30 daily nonstop flights. Reagan National Airport, traditionally known as a high fare airport, has greatly benefited from the JetBlue effect, as our new service has resulted in a significant reduction in fares in the markets we serve and substantial increase in travelers," said Rob Land, JetBlue&apos;s Senior Vice President of Government Affairs and Associate General Counsel. JetBlue entered the Reagan National market in 2010, becoming the airline&apos;s 62nddestination. With the three new routes launched today, the airline now offers 24 daily flights, with service to Boston, Charleston, Fort Lauderdale/Hollywood, Hartford, Nassau, Orlando and Tampa, as well as San Juan, Puerto Rico. New service to Ft Myers and West Palm Beach will both launch on December 18, 2014. JetBlue will operate up to 30 roundtrips per day at DCA by the end of 2014. 01:06 p.m. - 02:42 p.m. 07:25 a.m. - 08:52 a.m.
06:30 p.m. - 08:06 p.m. 03:20 p.m. - 04:49 p.m.
09:25 a.m. - 10:46 a.m. 06:24 a.m. - 07:48 a.m.
07:34 p.m. - 08:57 p.m. 06:30 p.m. - 07:54 p.m.
10:59 a.m. - 13:29 p.m. 02:25 p.m. - 04:58 p.m.
08:15 p.m. - 10:55 p.m.* 06:00 p.m. - 08:22 p.m.
07:59 a.m. - 10:33 a.m. 11:20 a.m. - 01:38 p.m.
JetBlue is a leading carrier in New York, Boston, Fort Lauderdale-Hollywood, Los Angeles/Long Beach, Orlando and San Juan. JetBlue carries 30 million customers a year to 85 cities in the U.S., Caribbean and Latin America with an average of 825 daily flights. With JetBlue, all seats are assigned, all fares are one-way, and an overnight stay is never required. New service to Hyannis, Mass. begins June 26, 2014. For more information please visit JetBlue.com. (a) Flight Restrictions: Fare includes government taxes/fees and must be purchased by 06/20/2014 (the earlier of 11:59 PM EDT or local) for flights between Ronald Reagan Washington National Airport (DCA) and Fort Myers (RSW) and West Palm Beach (PBI) only between 01/06/2015 and 02/11/2015, excluding Fridays and Sundays. 21-day advance purchase required. Limited exceptions apply; visit www.jetblue.com for information on all routes on sale. Fare is subject to limited availability; may not be available on all days or all flights; may change without notice; is valid for new bookings only; must be purchased at time of reservation; and is one-way, nonstop (except as otherwise noted), nonrefundable and nontransferable. Reservations made one week or more prior to a flight&apos;s scheduled departure may be canceled without penalty up to 24 hours after the reservation is made. First checked bag is free (weight and size limits and exceptions for itineraries including flights marketed or operated by other airlines apply). Fares do not include fees for oversized/overweight/ extra baggage or other fees for products/services sold separately. To view baggage fees and other optional services and fees, click here. $25 fee per person applies to fares purchased by phone or at an airport or ticket office. Cancellations/changes must be made prior to scheduled departure (otherwise all money for fare is forfeited); $150 change/cancel fee per person will apply, and for changes, there may be a fare adjustment. Cancellations receive JetBlue travel credit, valid for one year. Proper documentation required for boarding. Other restrictions apply.